The country of France has a rich tradition of viticulture, or wine-making. This is due to several factors, including its vine-friendly climate and fertile soil. Grape and wine varieties from this country are often named after the region where they are grown. Four of the most prominent wines produced in France are Champagne, Bordeaux, Burgundy and Condrieu. Champagne is a French wine that can be either sparkling or rosé. Sparkling varieties of champagne are carbonated and have bubbles, while rosé varieties do not. Regardless of the type, all true vintages of champagne come from the Champagne region, which is located in the northern part of France. Champagne wine is made from a combination of chardonnay, pinot noir and pinot meunier varieties of grapes. While many wines feature only one grape type, champagne is always made from multiple grape sources. The amount of sugar used in champagne can vary, ranging from 1 to 5 percent of the mixture. Champagne pairs well with most foods. The Bordeaux variety of wine comes from an area of southern France having the same name. This wine is created from a combination of several grapes, and commonly includes cabernet sauvignon, cabernet franc and merlot grapes. Bordeaux wine can be produced as either a red or white wine. 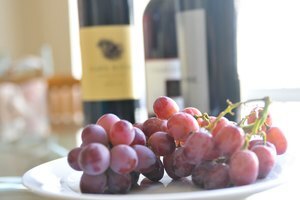 Darker, richer grapes are used to create the Bordeaux Red, while Bordeaux White uses lighter-skinned varieties. 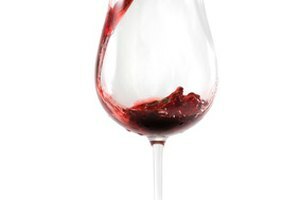 Due to the availability of dark grapes, 75 percent of all Bordeaux wine is red. Bordeaux Red is commonly paired with meat dishes such as steak, venison and lamb. Bordeaux White, on the other hand, pairs better with lighter dishes such as salmon, cheese or desserts. Burgundy is a produced in the eastern area of France. The grape most often used in the production of Burgundy wine is the pinot noir. 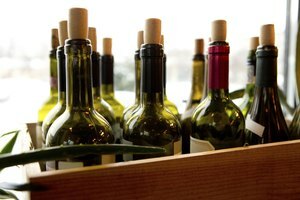 Like Bordeaux, the Burgundy variety of wine can be produced as either a red or white wine, depending on the richness of grape used. Burgundy Red is frequently paired with poultry dishes such as Coq au Vin, while Burgundy White goes well with chicken and fish dishes. Burgundy White can also be paired well with raw fish dishes, including sushami and sushi. Condrieu is a rich and flavorful variety of white wine, and is created in the Rhone area of southern France. Condrieu is made from Viognier grapes, and often has a noticeable fruit flavor to its palette. 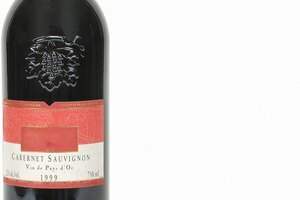 This wine is somewhat rare, due to its limited production. In fact, only 250 acres of land are dedicated to its production, compared to many thousands of acres used for other French wines. Seafood such as salmon and lobster pairs well with this white wine. 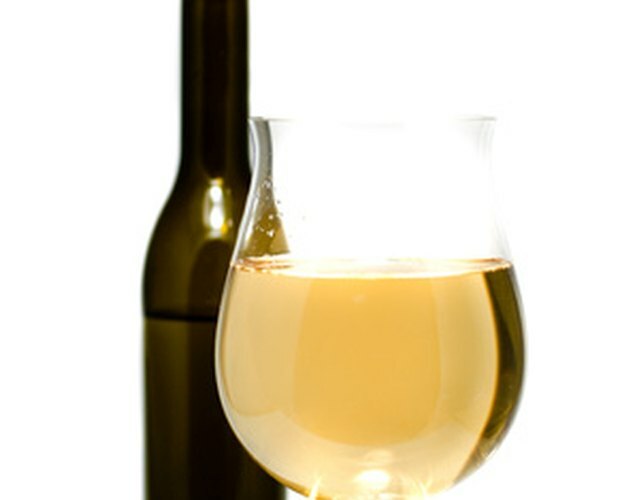 What Is the Difference Between Pinot Grigio & Chardonnay?